One of the best lilies for naturalizing just got an upgrade! 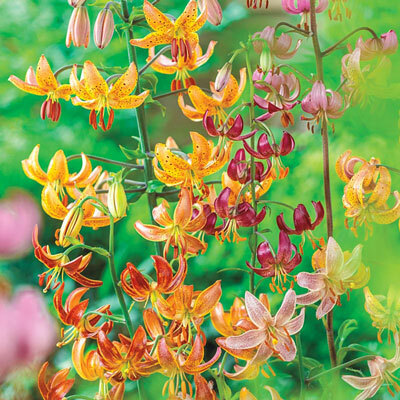 The lovely Martagon Hybrid Lily Mix bears tons of nodding blooms in shades of yellow, white, pink, lavender, orange and deep red, each with a light dusting of dark freckles. Fantastic naturalizers, their beauty and vigor increases year after year, letting you enjoy a kaleidoscope of colorful lilies each summer. They make sensational cut flowers, too. Just a couple of stems creates a striking bouquet of blooms.